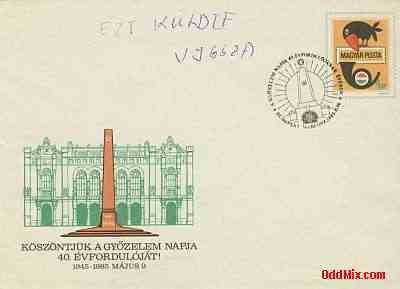 This stamped commemorative First Day cover was issued in celebration of the 40-th Anniversary of Victory Day of World War two. This hard to find commemorative stamped envelope is a must for serious collections. First come first serve, only one Special Commemorative Stamped Envelope available!